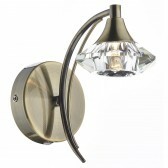 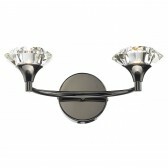 An impressive, attractive design this Luther 4 light semi flush fitting from Dar shown in either satin chrome or black chrome is a decorative fitting that is a must have in any home lighting plan. 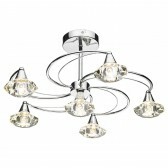 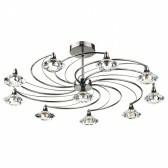 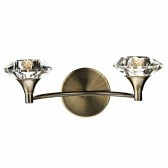 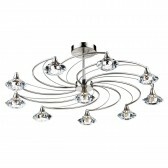 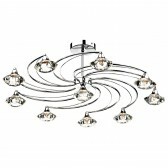 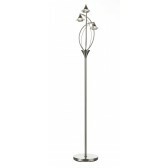 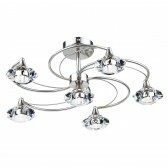 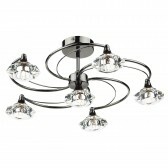 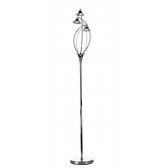 Featuring a short ceiling rod, with 3 spiralling arms creating an effective pattern. Each arm is shown holding a beautiful glass shade and 1 single glass shade is attached directly to the bottom of the feature. 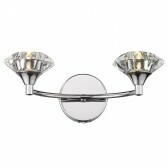 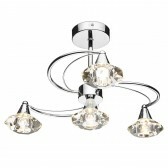 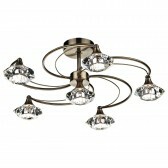 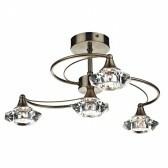 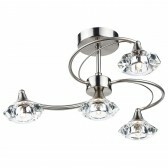 A lovely fitting that is bound to attract attention and produce an efficient lighting source in the home. 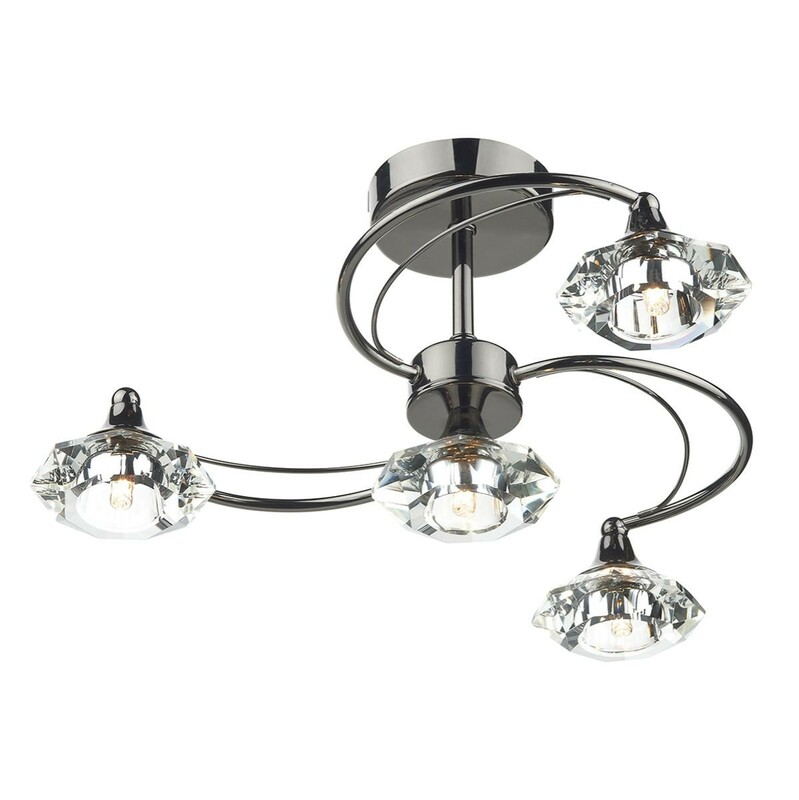 Place this light in just about any room, matching with almost any interior, whether its in your living room, or hallway area. 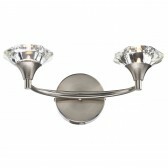 This fitting is available in the 6 and 10 light.